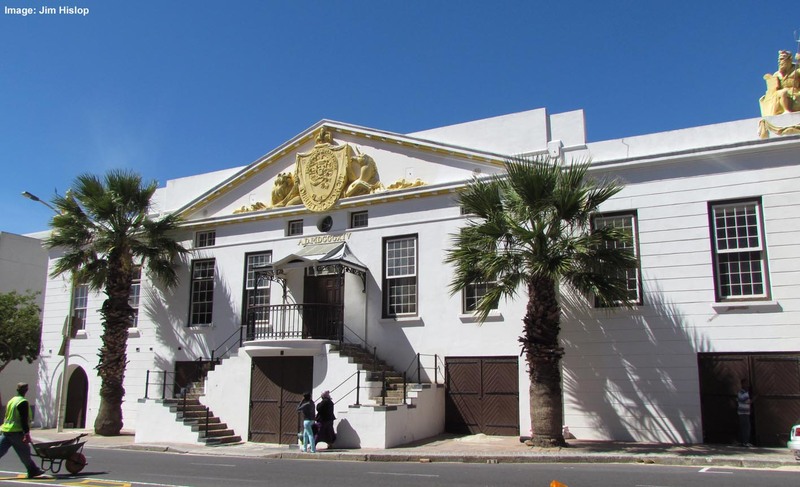 Meet at 10am outside the Granary building in Buitenkant Street, Cape Town. Tour led by Graham Jacobs. We will be looking over this historic building also known as the old Customs House (It has also been used as a police station). It was completed in 1814 and the design has sometimes been attributed to Thibault. It is known to have been built by Herman Schutte, with the figures of Britannia and Neptune, as well as the British coat of arms on the pediment, all done by the renowned German sculptor Anton Anreith. Graham Jacobs is an architect and heritage practitioner, now in private practice. He is a previous member of the VASSA Committee and was head of the City’s Urban Conservation Unit. Together with Melanie Attwell, he undertook a study of the Granary in 2005 and, among other things, compiled a 3D model of the building and its evolution over time. He will be sharing the insights this process gave him and the results of the work he and Melanie did as we walk through the building. 2014 SUBS PAYMENTS WERE DUE BY 25 APRIL! Those who are up to date, will have received a coloured slip handed out at the May talk or on the Rawsonville outing. If you haven’t yet paid, please make sure you pay as soon as possible, as only members with the current colour in their name badges are welcome at outings!